The titans who hold the sky are about to drop it. A trio of heroes: beautiful and clever Leada, mighty Protus and nimble Adoris embark on a quest to help the giants. In their journey they will visit amazing landmarks of the ancient world, encounter beautiful mythical creatures and make friends with gods and epic heroes. In this brand new time management game you can take control over three characters each with their special abilities. Use the power of gods to boost your progress through levels. Feast your eyes on the beautiful landscapes and set pieces. - Meet dozens of mythical creatures and other famous characters. 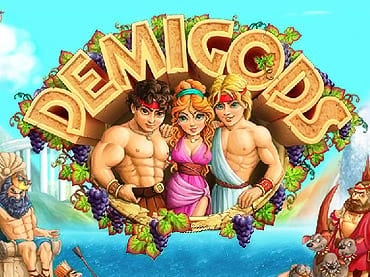 If you have questions about Demigods game, please contact us using this form.